BAGUIO CITY – The City Council approved on first reading a proposed ordinance establishing the Baguio City Youth Multipurpose Center and providing funds for the said purpose. 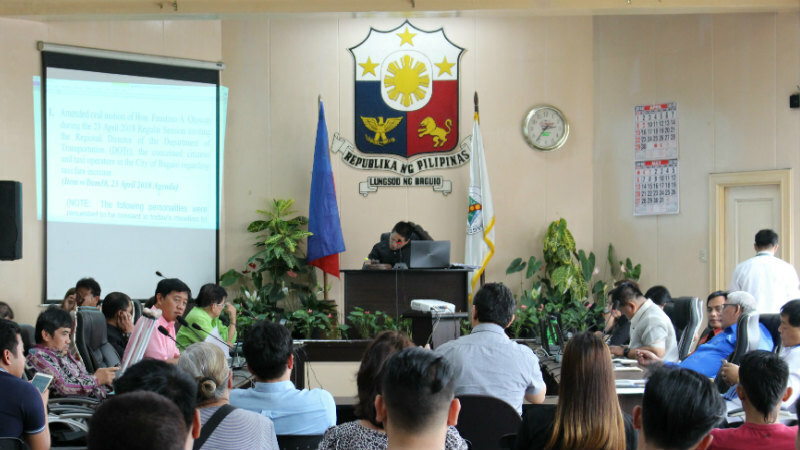 The ordinance authored by Councilors Peter Fianza, Francisco Roberto A. Ortega VI and Levy Lloyd Orcales stated the local government shall establish an accessible City Youth Center providing facilities and programs that promote holistic development for the youth in the city. Under the proposed ordinance, the Baguio City Youth Multipurpose Center (BCYMC) shall occupy the old building of the City Buildings and Architecture Office (CBAO) located at barangay DPS Compound, Baguio City or any other vacant office space the local legislative body will suggest. The BCYMC shall house the City Youth Development Office pursuant to Republic Act No. 10742 or the Sangguniang Kabataan (SK) Reform Act which mandates local governments to provide an office devoted to youth development. Further, the local youth development office in partnership with the local legislative body’s Committee on Youth Welfare and Sports Development will identify the facilities, activities and programs appropriate for addition and implementation in terms of culture, religion, and location. According to the proposal, the BCYMC shall cater to youth of all backgrounds, out-of-school youth, indigenous youth, youth with specific needs, child/youth in conflict with the law, child at risk, drug dependent youth and those who are victims of crimes and in need of support and therapy and that the institution shall not discriminate its beneficiaries based on religion, ethnicity, culture, disability, educational attainment, sexual orientation and identification. The local government shall have full authority in the operations, oversight, and maintenance of the BCYMC and shall declare the same as a peace zone. The BCYMC shall ensure a safe and ideal place while conducting activities for the youth of the city to learn, play, socialize and be cared for; provide trainings and workshops for vocational and technical skills for out of school youth in partnership with various national government agencies such as but not limited to the Technical Education and Skills Development Authority (TESDA); teach peace education, family planning, drug awareness, human rights awareness, and timely topics to the youth; encourage the youth to take part in spiritual enlightenment, leadership trainings and community service; create a network of peer support systems among the youth who are struggling in many aspects of their lives; implement interventions and rehabilitation programs for youth who are subjected to the said programs such as drug dependent and children in conflict with the law; offer sports and recreational facilities for public use; organize regular sports festivals, youth games and friendly competitions for literature, visual arts, theatre arts and music and conduct one multipurpose hall and lecture rooms for mass teachings, seminars, forums and small group discussions. The amount necessary to carry out the provisions of the proposed measure will be authorized to be appropriated by the local government in the amount of P3 million from any available funding which shall not be limited from the local government’s general fund.